Mayo Clinic provides resources and training for employees to help them use social media tools professionally. Here's how to get started. All Mayo Clinic policies apply in social media, too. Mayo Clinic established Social Media Guidelines in 2009, to help staff better understand these implications. Mayo Clinic encourages staff social media involvement, and provides training and resources to help you use them safely and effectively with confidence. Your Mayo Clinic Social Media Account is the single account you use to participate in Mayo Clinic Connect, Mayo Clinic News Network, Sharing Mayo Clinic and various other Mayo Clinic blogs and online communities. Mayo Clinic staff also receive discounts of at least 50 percent (and sometimes more) on regular registration for our Social Media Residency course, Member Meetings and other MCSMN events. Join the Mayo Clinic Champions program (log in with your Mayo Clinic Social Media Account) so you can share Mayo-curated health-related news with your networks on Facebook, Twitter and LinkedIn. 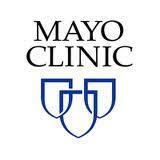 Want to submit a social media post for Mayo Clinic's Facebook or Twitter accounts? Provide us with information about what you'd like for us to consider posting and we'll be in touch. Looking for a consultation? Fill out our form and we'll respond shortly.